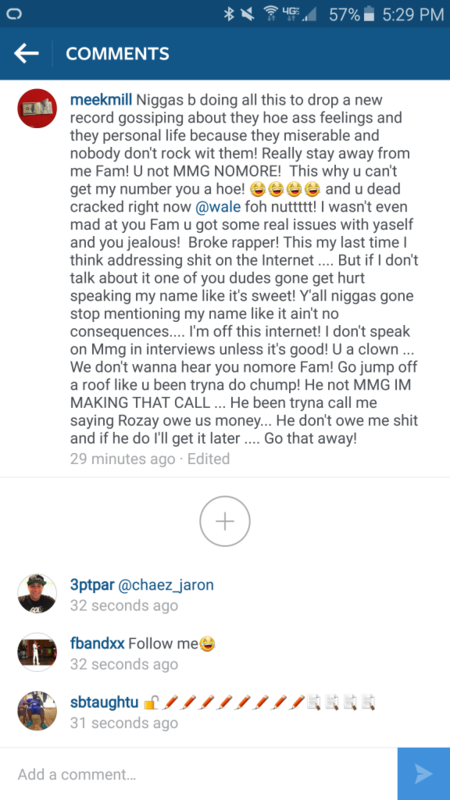 Meek Mill is on social media in his feelings again (v. Wale). 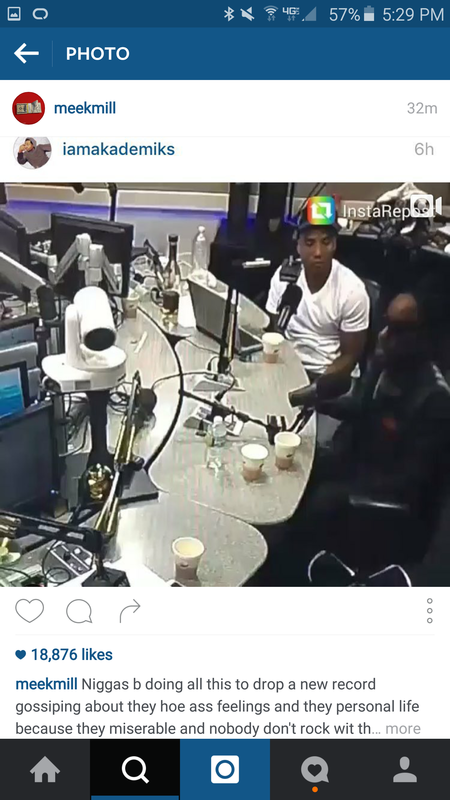 Wale went on The Breakfast Club for an interview and was very candid about a few things.. Following an interview this morning where Wale basically said MMG is basically no more and the Meek Mill brought “a pencil to a gun fight” verses Drake, Meek Mill went on a vicious rant against the D.C. rapper. Well. Meek Mill wasn’t very appreciative of his comments. Maybe the “a pencil to a gun fight” statement is what did it? *giggles* Well, here’s his response via social media cause who is really doing interviews with him these days anyway? And what kinda calls you think you’re making, breh? WHO IS LISTENING TO YOU, FAM? WHERE IS YOUR BOSS!?!?!?!? Has someone informed him that…that’s not his role? The he can’t make those kinds of calls? LOL. He’s hollering and making threats that he can’t back up (again)! It is clear Meek Mill doesn't have a praying grandmother. Have a seat, Bruh. I mean, what is it? Has Nicki not rented out her PR team to him? Can she not help? He clearly hasn’t learned. Let’s take a look at Rick Ross’ Instagram account, shall we? So after Meek Mill posted that he’s making some kind of a call about Wale being in MMG…Rick Ross posted this. Now. What kind of call was that you’re making, Meeks? Let’s all gather in prayer for Elgin Baylor Lumpkin.